Members of Hardenbergia are half hardy perennials that are native to Australia. They can reach up to 3 metres in height. They carry pea like flowers in racemes, usually in purple. Some of the common names for members of this genus include Australian Sarsaparill and Coral pea. 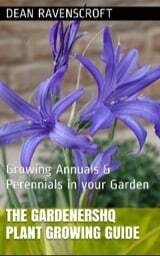 Commonly grown garden members include Hardenbergia violacea and Hardenbergia comptoniana. Photographs: Australian Sarsaparilla by Tatters:) and Hardenbergia by Ratabago. 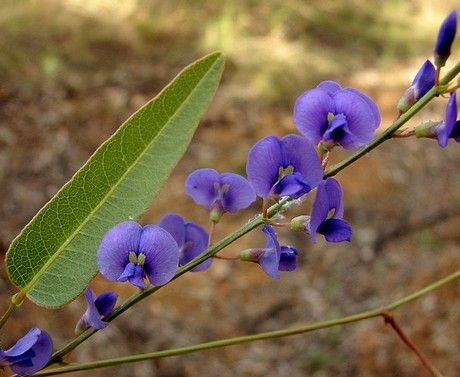 Common Names: Australian Sarsaparilla, Australian Lilac, Coral Pea, Happy Wanderer, Vine Lilac, Waraburra. Height: 120 inches (300 cm). Flower Details: White, purple. Pea-like. Racemes. Foliage: Leathery. Dark green. Veined. Sow Outside: 1/8 inch (3 mm). Following the last frost. Spacing: Single plants. Sow Inside: Germination time: one to three months. Temperature: 55 to 65°F (13 to 18°C). Hardenbergia seeds should be soaked for one day in water. Two months in advance. Transplant outdoors following the last frost. Requirements and care: Full sunlight (for best results) or light shade. Good drainage. Moist soil, looses soil, peaty soil. Occasional deep watering during dry periods. Provide a monthly weak liquid feed. Propagate: from stem cuttings in the summer and autumn. Hardenbergia violaceais a great plant to grow if you are looking to add some color to your Garden at the end of winter or start of spring. It is an evergreen woody stemmed climber that carries attractive purple flowers reminiscent of peas. 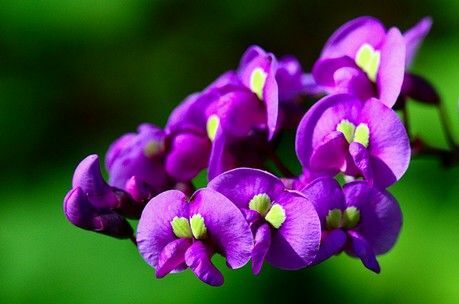 The plant goes by the common name of False Sarsparilla and Purple coral pea in its native Australia. Although it can grow in both full sunlight and partially shaded areas, it is at heart a sun loving plant and will perform best in a sunny patch of the garden. As a climber it is best grown on a trellis, but can be put to better use by covering unsightly fences. There are numerous varieties, with perhaps one of the most loved and grown being the purple flowered Happy Wanderer (Purple Vine Lilac), which can reach 16 feet (4.8 m) in height. Pink cultivars include Rosea, and the white flowered Hardenbergia Alba is also popular.